The Noe Valley Bakery has been a mainstay in the Noe Valley neighborhood for over twenty years. They've given cookies to children after school, baked those same children graduation cakes, and even wedding cakes. The Noe Valley Bakery brand is distinct. Owners Mary and Micheal pride themselves on making truly exceptional baked goods, while focusing on what mattered to them: serving the neighborhood, learning their customers names, and being a regular part of customers routines and celebrations. After two decades of serving the community of Noe Valley, the Gassens were ready to expand. The Noe Valley Bakery was looking for a site for their second location, and while the geared up for expansion, they needed a plan to expand their beloved brand they worked so hard to build along with the physical expansion. Together we took the Noe Valley Bakery team through The Brand Plan to codify their messaging, bring to light their key differentiators and get their team to be in lockstep around the brand as they expanded. 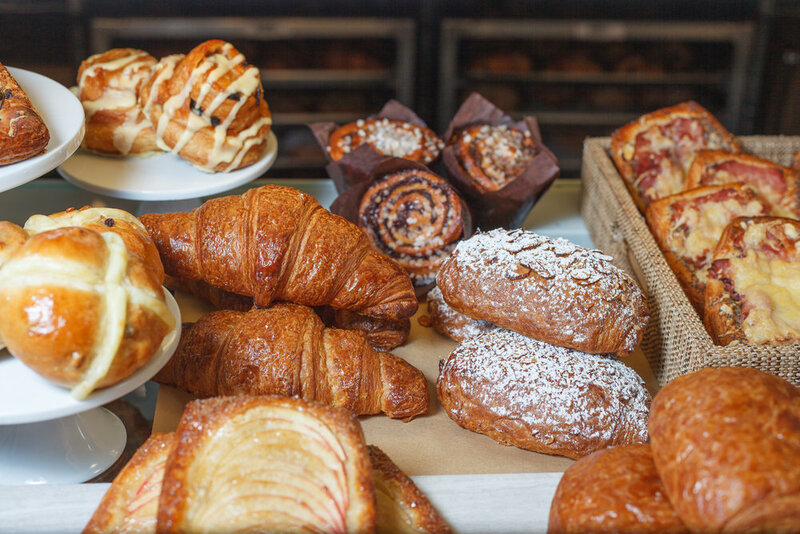 Lots of things had changed with the Noe Valley Bakery since their opening in 1994. At the time, their goals were simply to bring high quality ingredients to create craftsman-quality baked goods to Noe Valley. By 2016 they had accomplished that goal in spades. To connect even more deeply with customers, encouraging engagement with the brand. And as founders begin to give back to the bakery community and teach the insights they'd learned. Taking this vision, we helped the Noe Valley Bakery team craft core positioning and messaging that included their expansive vision, while tethering them deeply to the core values they'd built their success on. Next we helped the Noe Valley Bakery team by outlining a new strategy to help tell the stories behind the baking, and encourage their raving fans to engage more deeply with the brand. After getting the ownership clear on the vision, we stepped in to help oversee the marketing messaging as the new bakery's plans sprung into action. We worked directly with the Noe Valley Bakery's creative director and social media team to ensure that the entirety of the bakery's digital footprint was weaving clear, cohesive messages about the values their brand wanted to be known for — both in the Noe Valley neighborhood, and in their new neighborhood of West Portal. We conducted monthly meetings with the team, helped with their on-going content strategy, and looked for ways to introduce the neighborhood of West Portal to their new neighborhood bakery. "Prim'd Marketing tailor made The Brand Plan for my business and my team. They made it super efficient and easy for us to work with them. It's been amazing to have one document that has our whole brand's essence, from beginning to end — not only who we are, but where we're going, and how to tell customers about the brand." "When I really let it sink it what their vision for our business was, that was the Ah-Ha moment. I now have a renewed sense of pride for our business and an increased desire to march into the future of the Noe Valley Bakery. The Noe Valley Bakery's West Portal opening exceeded everyone's expectations. From lines around the block during their opening week, to consistently selling out of many of their popular items, the neighborhood of West Portal is communicating loud and clear that they love their new neighborhood bakery. The Noe Valley Bakery's social channels have developed a fun personality with a warm rapport to with it's fans and followers. They continue to get high engagement and lots of user generated content which as resulted in a lot of sold bread.